Nintendo 3DS: no glasses required. It’s like Futureworld, Dude! Well before the European launch of the Nintendo 3DS and many announcements I kept thinking: what will the impact of this device be on the broadcast industry? 3D television is spreading like wildfire and appears to be the next “in-thing” – if it wasn’t for overpriced TV sets that require you to wear sunglasses. This major hurdle needs to be overcome for 3D broadcasts to be successful. Nintendo’s new handheld console is at the time of writing the ONLY display out there that can give viewers the desired experience without the need for 3D goggles. Partnership deals with Disney, Warner, Dreamworks and even broadcasters such as Sky and Eursport have already been signed, which tells us that “gaming” isn’t the sole focus of this puppy. When Sainsbury’s had the Nintendo 3DS on offer earlier this week I couldn’t resist and bought one. Let’s see how (and if) it works. 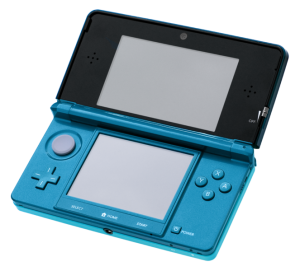 The Nintendo 3DS utilises a technology known as parallax barrier autostereoscopy. This means that there’s one (or several) areas where a 3D image can be seen. Move out of that area and the effect is gone – which is why this system can only be appreciated by one viewer at a time. In our case we’re talking about 10-15 degrees of view. You have a depth slider with which the 3D effect can be increased or decreased (or entirely swicthed off). I think it works incredibly well when the slider is somewhere in the middle, however some of my colleagues found it “does their head in”. They found this is especially true at scene cuts for full motion video. Images appear to be floating in front of and behind the upper screen just like we know it from 3D screenings in IMAX cinemas. 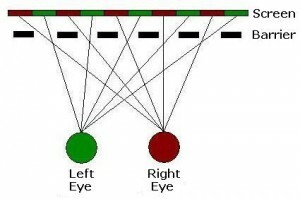 I have to say this works really well if you’re looking at images or movies, or if you’re playing games in which you’re mainly watching the screen; however when you’re playing a game like Pilotwings or Street Fighter where you inevitably move the console in your hands the effect is a little irritating due to the very narrow viewing angles you have to hit for perfect vision. The Nintendo Virtual Boy. On sale for 6 months in 1995. When I did my homework on this subject it came as a surprise to me that Nintendo has been keen on getting involved with 3D gaming since the late eighties – incidentally as long as the TV broadcasters wanted to make 3D happen. It never came to fruition due to lack of displays that could support 3D. 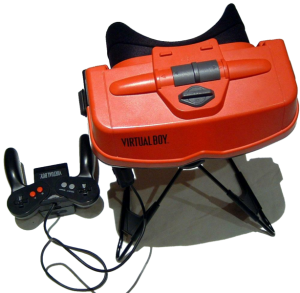 Nintendo released the Virtual Boy in 1995 in Japan and the US but that product didn’t sell so well. Only a few years later the Gamecube came out – and can you believe it was capable of rendering 3D images? Again because there were to displays, this feature was never used by Gamecube titles – apart from Luigi’s Mansion. Looks like Nintendo have at last got their wish and went to market in 3D with this puppy. The inclusion of a charging cradle sends a subliminal message from the manufacturer: “We reckon you need to charge this thing A LOT – probably so much that the jack will get worn out so quick that we’d rather give you free a cradle instead”. Also worth mentioning that the sound quality is not top notch and therefore, gaming headsets are suggested for the optimal experience. 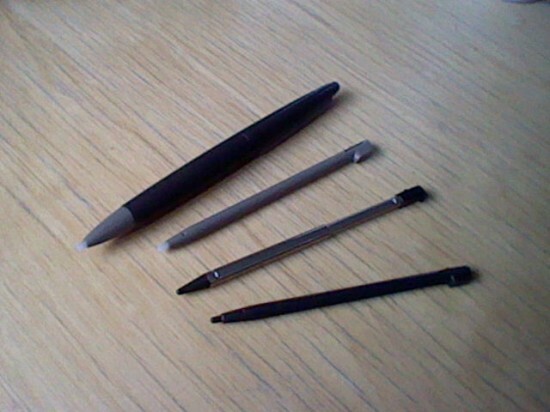 The new stylus is made of metal and it’s much shorter than previous integrated plastic styli in models. However you can pull it apart to make it almost the same size as the DSi and DSi XL styli. I still prefer using a full length one though.